The Home Insulators of Mount Pleasant can meet all your home insulation needs. Why do we struggle with high energy bills every month? Because we have inadequate insulation in our homes. 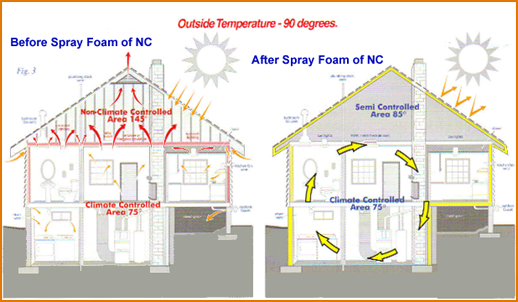 Poor home insulation causes heat loss and unnecessary heat transfer. This doesn’t seem like anything to be bothered about, but the impact it makes is critical to your finances as well as the standard of comfort of your home. You can change the energy efficiency in your home. One cost-effective and practical way to increase energy effectiveness in the home is by improving your home insulation products. Most homes in Mount Pleasant spend more than 60% of their energy bill on either heating or cooling or both! In cold seasons, heat moves from your warm and heated rooms to colder areas of the house like the attic, basement, etc. and then eventually moves outdoors. During warmer seasons, the opposite happens. Heat from outside moves into air-conditioned rooms. 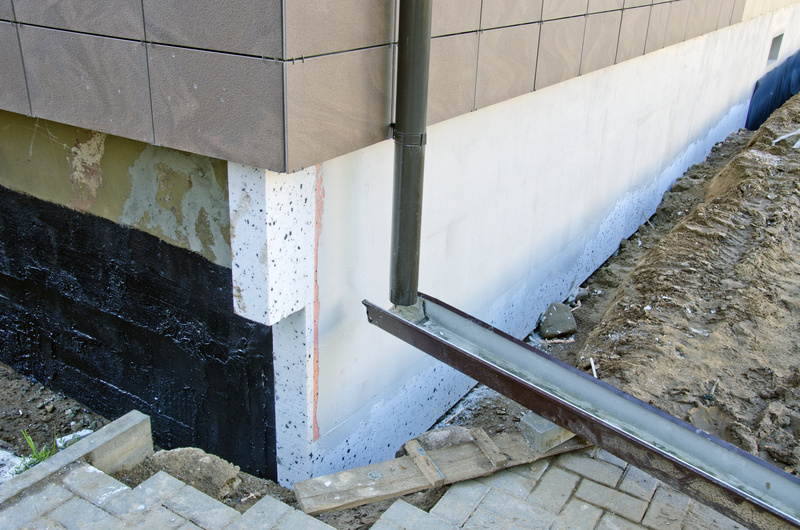 Our insulation products create a barrier that stops heat from moving in and out of your home unnecessarily. Adequate home insulation ensures that you and your family enjoy your time in a comfortable home. R-values are used to indicate a material’s ability to resist heat flow. We like to have insulation products with high R-values. The higher it is, the better the insulation the material provides. Homes in Mount Pleasant need insulation products with high R-values because of the level of humidity, our unpredictable 4 seasons, etc. 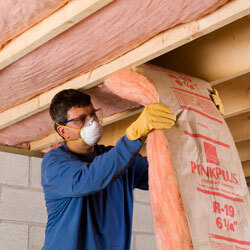 Our insulation products have met the required safety, health and quality standards. Call us today to schedule a free energy audit to see where your home is leaking money. We offer a variety of home insulation products that have different price ranges so as to fit within every individual’s budget. Once you decide to change your home insulation, you will find that there are several products to choose from. Each of the products suits each home differently. When you schedule a free energy audit, we will come to your home and determine where your home leaks energy. Afterwards, we can then recommend a specific insulation product if it is necessary. This will be at no-obligation. 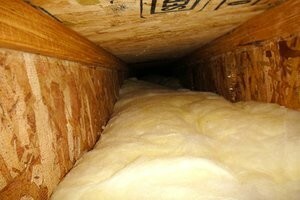 This kind of insulation is common in many homes. Most people refer to it as blanket insulation because of its tendency to stretch and roll out flat during installation. It is made of fiberglass, recycled paper, rock wool, polyester, etc. Blanket insulation is available in different sizes that can fit between joists and studs in the house. You won’t find as many cost-effective options as this one out there. A useful tip would be this: seek a professional’s help with installation. When not installed properly, this product can end up losing over 50% of its effectiveness. Blown-in insulation is a common type of insulation that’s made up of cellulose, foam, rock wool, fiber, fiberglass, cellulose, etc. It is excellent for a variety of spaces like unfinished attics, new walls, existing walls, hard to reach spaces, etc. Unfortunately, you can’t install this one on your own. You need a trained specialist who has special equipment to handle the process of installation. This type of insulation is made up of fiberglass and rock wool and is mostly used for blocking unnecessary air ducts in the home. Rigid board insulation is a good choice for remodeling, existing walls, new construction projects, new roofs, etc. Rigid boards can be cut into various sizes and are used for molding around pipes. 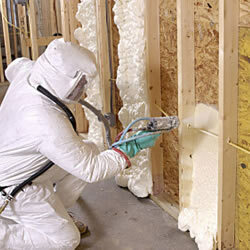 Spray foam insulation is considered the best type of home insulation product in the market. We are proud to serve the Mount Pleasant community with this superior insulation product. 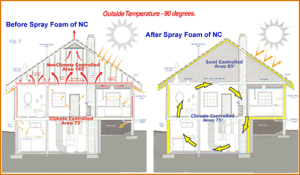 Spray foam products have the highest R-value making them the best thermal and air barriers. This type of insulation product is made of 2 different chemical materials that are combined, applied, heated and then sprayed through a special hose. The spray foam is bio-safe and expands right away creating a seal that is airtight. It can be used between joists and studs throughout the home, as well as in existing walls. The specialist will drill a small hole into your wall, and then insert the spay foam to expand all the way through the wall. The small hole will then be patched, to prevent dust and insects from entering the home. This technique eliminates the trouble that could have been encountered when knocking down the entire wall. It’s our best pick. Call us today to schedule your free, in-home energy audit. One of our friendly customer service representatives will schedule an appointment, day or evening, with our certified energy auditors. A trained auditor will come to your home to examine your existing insulation, and to conduct an on-site blower test. This simple and quick test will indicate which areas of your home have inadequate insulation which leads to heat transfer and higher energy costs. The auditor will then provide you with a detailed recommendation specific to your residence, and discuss the potential benefits of upgrading your insulation. There is no cost or obligation for this visit so click here to schedule an appointment today! 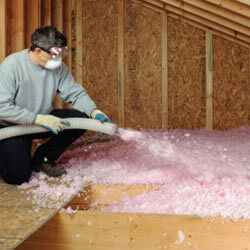 Your home may also benefit from one of our other types of insulation products. Many of our satisfied customers choose to just upgrade their attic insulation, because this is typically the greatest contributor to heat loss. Batts and rolls (or blanket) insulation is a very cost-effective option for providing greater R-value protection in your attic. 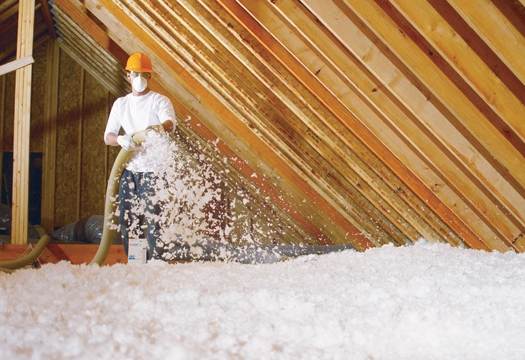 Blown-in or loose-fill insulation is made of tiny pieces of insulation material that are blown through a hose to provide coverage in hard to reach spaces, or to fill in over inadequate insulation. Both batts and blown-in insulation are excellent options, and can be installed in just one day. So, please click here for more information. If you are considering new construction or a remodel in Briarcliff Manor, call us during the planning process to learn more about rigid board insulation. This is the perfect choice for new roofs or unfinished walls, and can also be cut and molded around piping or air ducts. We would be very happy to provide you with a no obligation estimate for either spray foam or rigid board insulation for your new home or remodeling job. Call now to claim your free energy audit. Our professionals will guide you through the whole process. You will feel taken care of right from the moment you hear our auditor’s voice on the other end of your line. You have no obligation to us. 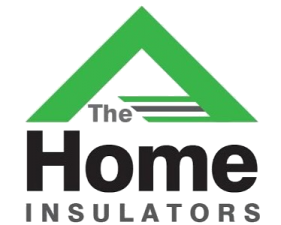 If you want to change your insulation and make your home more comfortable and energy efficient, we hope you’ll choose The Home Insulators. Mount Pleasant, New York, 48804, is located in the north of Westchester County. Its topography mainly consists of gently rolling hills, local parks, and watershed protection land. The town’s Pocantico River & Pocantico Lake empty into the Hudson River. The largest water body in the town is the Kensico Reservoir. It is home to one of America’s most famous real estate developments the John D. Rockefeller Estate. The estate is considered a National Historic Landmark and was added to the list of National Historic Places in 1976. Some of its villages include Pleasantville 10570, Thornwood 10594, Hawthorne 10532, Valhalla 10595, and Eastview etc.